We’d love your help. 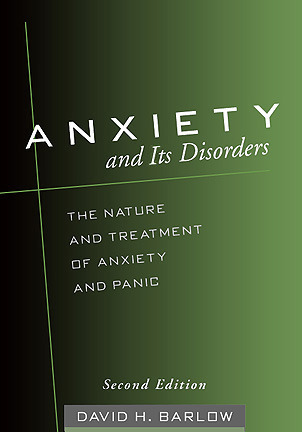 Let us know what’s wrong with this preview of Anxiety and Its Disorders by David H. Barlow. To ask other readers questions about Anxiety and Its Disorders, please sign up. I still dislike the jargon in this book. But I hear it's good for case conceptualization and summaries, so I'll give it a fair shot to help me in the future. Okay, I just couldn't resist 'cause it's a page turner!